Have students bring in a pet stuffed animal. Then, have them do a little math and writing with their pet pal! 1. Measure your pet. Check out the book Measuring Penny. 3. Find two friends and create a fraction (Ex: 2 out of 3 are dogs - 2/3 are dogs). 4. 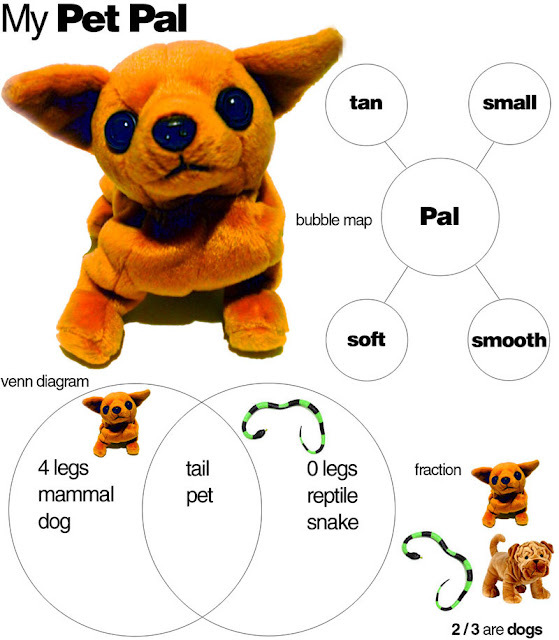 Partner up with a friend and write the similarities and differences of your pets on a venn diagram. 5. Describe your pet (create a bubble map with adjectives). 6. Write a story about your pet.